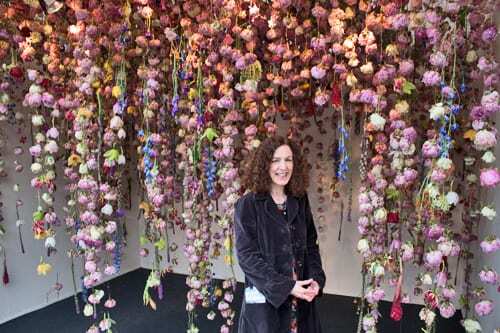 You may remember earlier in the year that I interviewed floral artist Rebecca Louise Law? 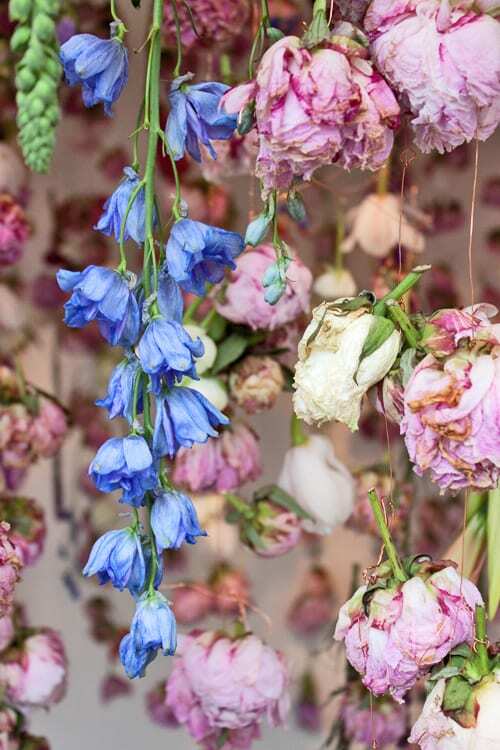 Well, this blog post features images of Rebecca’s amazing installation of flowers on her stand at the RHS Chelsea Flower Show. 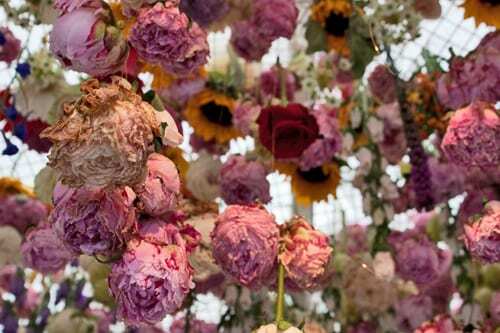 It includes peonies, roses, ranunculus, liatris, gloriosa lilies, delphiniums, lisianthus, sunflowers, celosia and cymbidium orchids. 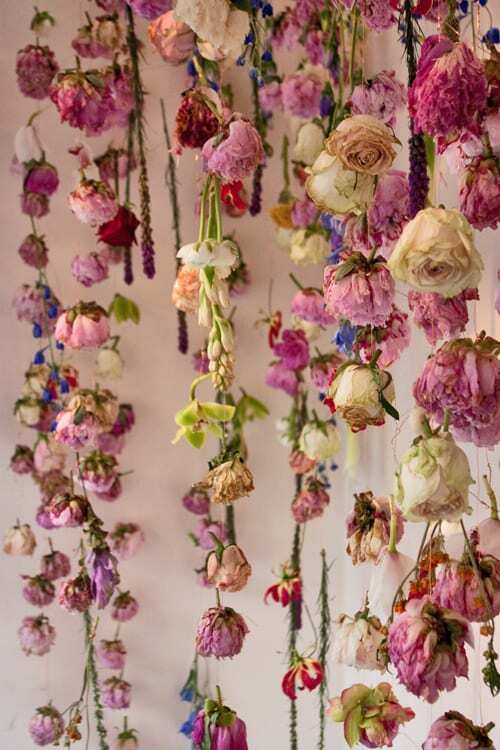 And yes, the flowers are all supposed to be ‘going over’ and slowly decaying…! I hope you enjoy browsing through these images which I took yesterday. It was lovely to meet Kim, who works with Rebecca. 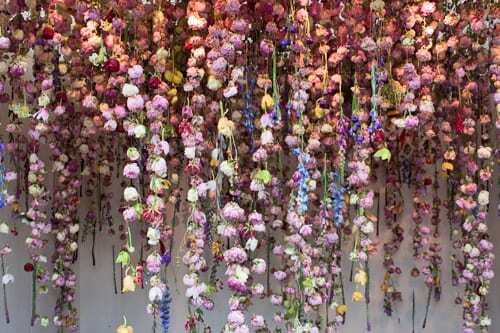 She encouraged everyone who came to the stand to walk in amongst the flowers, which were hung on copper wire. And she was also kind enough to take the photo of me. 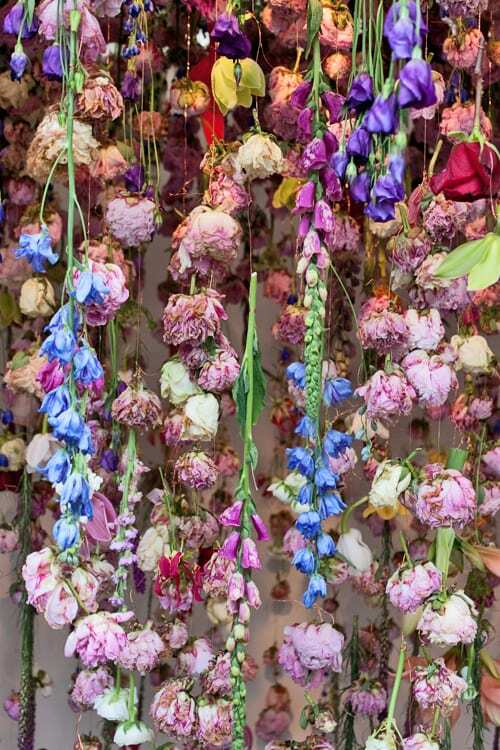 It was so interesting standing near this wonderful floral installation and hearing all the gasps from passer-by…especially the ladies. 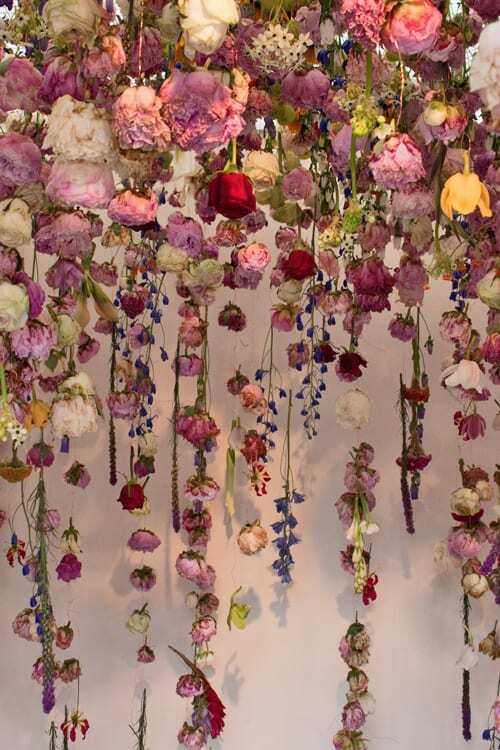 If you’re visiting the RHS Chelsea Flower Show this week, do make sure to visit Rebecca’s stand. Simply stunning!! Thank you so much for sharing this. You’re very welcome Yvonne :-). Great to see my lovely niece Becca doing so well after such a long time. Well done. Thank you for your lovely comment about Rebecca’s beautiful work Paul :-).